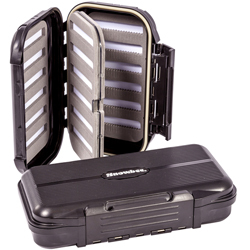 Snowbee Centre Leaf Waterproof Fly Box - X Large really does maximise available storage space. 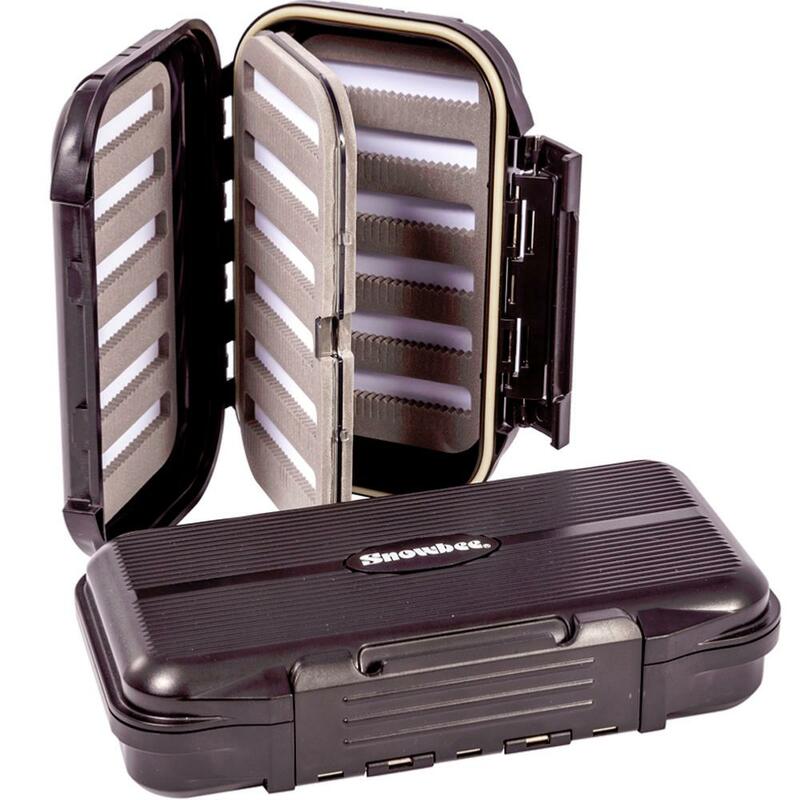 The removable centre swing-leaf, hinges to give easy access to both sides, providing 4-sided fly storage in one box. The centre leaves are available separately, so you can keep leaves pre-loaded with your favourite flies and swap over the ones you want for that day's fishing. If you want to store large salmon or saltwater flies, simply remove the centre leaf completely and you have a very deep box, capable of storing the largest of flies. Snowbee Centre Leaf Waterproof Fly Box - X Large can store up to 936 flies! X-Large: 7.7" x 4.2" x 1.7"
3rd box I have purchased.